The cost of a grooming always depends on the type of hair your pet has, what you want done and the condition of your pets’ hair. The size of your pet is also something that has to be taken into consideration, and any other special needs that your pet may have also must be assessed. These things are all best assessed in person at the time of your pets’ appointment. An estimate can be given to you at the time of your arrival prior to your appointment, because it is very hard to give an estimate over the phone without seeing your pet. The entire grooming process takes approximately 4-5 hours. It depends on what kind of haircut we are doing, the condition that your pet is in when they arrive for their appointment and their behavior during their visit to our spa. We have several pets in our salon every day that require attention, and in order to care for all of them equally we are not always able to work on only one pet at a time. We do make exceptions for pets with special needs and we can do what is called an ‘Express Groom’. There is an extra fee, but we will be able to get your pet done sooner. Do you do cat grooming? We do groom cats. Cats are amazing creatures and we love working with them. They are, as any cat owner knows, very different than dogs. They require special handling and patience to groom. They need to allow you to groom them. Cats can become easily stressed and we always take this into consideration. The staff at Central Animal Hospital is able to provide Veterinarian supervised sedation in the extreme cases where a cat is too aggressive or stressed. We always like to give cats the benefit of the doubt and attempt to groom them without sedation first. Then if we assess that sedation is required, you the owner will be given an estimate of costs by the veterinarians and you will have to sign a waiver agreeing to the process before any sedative is given. That is just the worst case scenario. Most of the cats we groom are loving and sweet and enjoy the visit to our spa. We do lion cuts and comb outs, as well as baths. Cats are our specialty. Yes. You can stay and watch your pet being groomed. Keep in mind your presence can sometimes help, but also sometimes hinder your pets grooming experience. 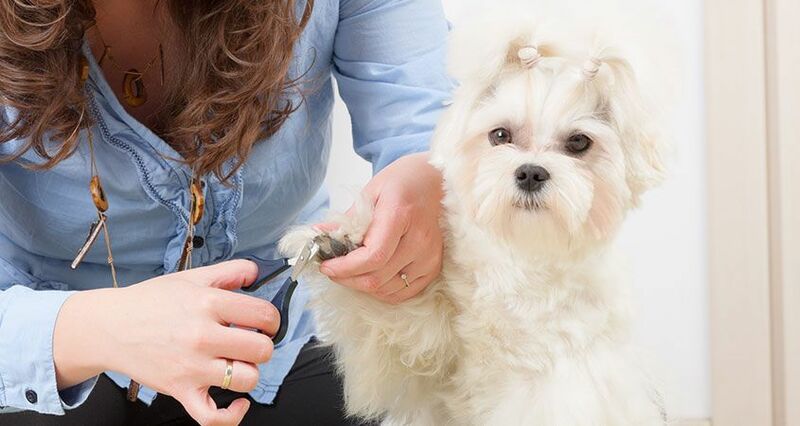 Some dogs and cats benefit from their owners staying for the grooming, but others are very distracted and preoccupied with their owners presence, which makes the grooming very difficult and will actually take longer than needed. The process takes approximately 4-5 hours. 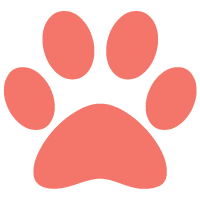 We have several pets in our salon every day that require attention, and in order to care for all of them equally we are not able to work on only one pet at a time. We do make exceptions for dogs with special needs and we can do what is called an Express Groom. There is an extra fee, but we will be able to get your dog done sooner. Can my pet get vaccinations done by a Veterinarian while my pet is in for a grooming? We strongly recommend that your pet is vaccinated if they are visiting any facilities with other cats and dogs in it. It is for their benefit that they are protected from any diseases that they could possibly catch by having contact with other pets. Since we are located within a Veterinary clinic vaccinations can be provided at the time of the grooming, but if your pet has never had any vaccinations a prior trip to the clinic would be required to ensure protection before the date of the grooming. There are three sets of vaccinations that need to be done on a pet initially. For more details on vaccinations and other veterinary procedures, feel free to contact Central Animal Hospital through the contact information on this website and the receptionist will be more than willing to answer your questions. Will you shave my double coated dog? Yes, of course. For example, one of the things we do a lot of is shave Golden Retrievers. It cuts down on the hair in your house dramatically, and it can help prevent hotspots in the summer if your dog is in and out of the water. Shaving a double coated dog can sometimes change the quality of the coats regrowth, but most owners who start shaving their double coated dogs just continue to keep the hair short because they love it so much! Will you groom Elderly Pets? Elderly pets are our specialty. Since we are located within a veterinary clinic you can rest assured that your older pets’ health concerns are being fully assessed while they are visiting us for a grooming. We are always concerned about the safety, health and wellbeing of every pet who visits our salon. Being inside a Veterinary clinic provides us with a great feeling of security, that we will be able to provide your pet with immediate aid in the case that we notice and signs of discomfort or stress. Older pets require a patient understanding groomer, and we always aim to provide your older pet with that. The health, safety and wellbeing of your pet, is always our top priority. Will you groom aggressive cats and dogs? Yes. Some pets are aggressive, and do not like to be handled in any way. Dogs and cats require special handling in these cases. All of the staff at Head To Tail Pet Spa is fully trained to groom aggressive pets. In extreme cases the Veterinary staff can provide us with sedation, which is required more in cats than in dogs. Aggressive dog behavior can be fixed over time in most cases, where as aggressive cat behavior requires sedation. Cats become too stressed and often don’t respond in the same way that dogs do when they are asked to co-operate with a groomer. Many of our aggressive dog clients have significantly improved over time. We recommend that you pick one of our grooming staff to work with your pet and see the same person every time you visit out spa. Dogs require routine, for training purposes and that way the same “issues” that your dog may have, are handled in the exact same way every time. Are you able to sedate my cat or dog for the grooming? Yes. Due to being located within Central Animal Hospital, we can provide your pet with sedation. The sedation is provided by a Veterinarian and you will need to speak with the front reception about prices for the specific type of sedation your pet requires. You will also be required to sign a waiver form. No sedation is ever given to your pet without your approval. Why does it cost more to shave a matted cat or dog? A matted pet is in discomfort. Mats are painful and need to be removed by being shaved off. Small mats may be able to be combed out but larger ones are not able to be. To comb out large mats on your pet would put them through an immense amount of pain and discomfort and we will not do that. If you get mats wet they get worse, so the only thing that can be done is to shave them off. This takes time and skill. Matts are not easy to remove and depending upon the severity of the matting, it may take a lot longer than your average grooming. Regular brushing can prevent matting and our staff can show you which combs and brushes would work best on your pets’ hair.